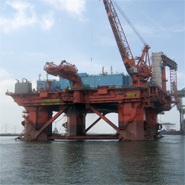 Ship and platform construction is generally very compact, which imposes very high demands on the safety signage. 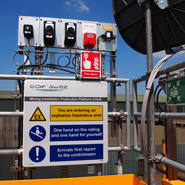 Blomsma Signs & Safety is very experienced and can provide complete signage for maritime and offshore locations. It is a world of extremes that we know well. 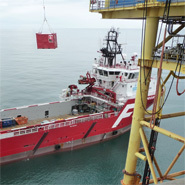 The maritime and offshore environment requires appropriate modifications in the materials used, both in terms of specific properties and the way the signs are mounted. Being able to translate the escape route plan into clear and properly visible signs is also important. Our engineers and technicians are experienced; they are familiar with signage in both newly constructed properties and renovated ones. 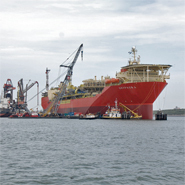 They work internationally, both onshore and offshore, at the quayside or on board. They use pre-defined (signage) plans or work according to the data supplied and/or their own insights. Expertly and rapidly, they implement pipeline marking, safety signage, safety drawings and supporting signage, in accordance with the latest legislation and standards. Fleeing to a safe location is no simple matter when you are at sea. Depending on the conditions, the muster station may be inside an accommodation unit or outdoors. We make sure that the escape route markings always lead to the muster station or, if that cannot be reached, to the alternative embarkation points. Blomsma Signs & Safety has now been providing escape route marking systems for many years, in line with the current international standard (ISO-24409). The Marine and Offshore portfolio visualizes how our experience and branch specific knowledge translate into the quality of our projects.